Posted April 7th, 2019 by Scott & filed under Uncategorized. Posted April 3rd, 2019 by bower web & filed under Uncategorized. A design patent protects any new, original and ornamental design for a useful article of manufacture. Design Patents are very popular among companies. These cover things like graphical user interfaces, icons on computer screens, smartphone and tablet designs, and any other characteristics that are ornamental in nature. A standard utility patent protects an item’s processes or function, and a design patent protects its looks and form. A copyright protects any original work of authorship that has been fixed in a tangible medium of expression. Copyright, a form of intellectual property law, protects original works of authorship including literary, dramatic, musical, and artistic works, such as poetry, novels, movies, songs, computer software, and architecture. Copyright does not protect facts, ideas, systems, or methods of operation, although it may protect the way these things are expressed. A trademark protects a word, phrase, symbol or trade dress associated with your business. The moment you name your business and use it in commercial practice, or develop trade dress, a brand or the like, you can mark it as ™ or, if you register it, an ®. If you would to find out more about any of these forms of Intellectual Property, please call us at 201-739-5555 for a free consultation. Posted April 27th, 2017 by Scott & filed under News. Before you can file an international application, you need to have already registered, or have filed an application, in your “home” IP office. The registration or application is known as the basic mark. You then need to submit your international application through this same IP Office, which will certify and forward it to WIPO. WIPO only conducts a formal examination of your international application. Once approved, your mark is recorded in the International Register and published in the WIPO Gazette of International Marks. WIPO will then send you a certificate of your international registration and notify the IP Offices in all the territories where you wish to have your mark protected. It is important to note that the scope of protection of an international registration is not known at this stage in the process. It is only determined after substantive examination and decision by the IP Offices in the territories in which you seek protection, as outlined in Stage 3. The IP Offices of the territories where you want to protect your mark will make a decision within the applicable time limit (12 or 18 months) in accordance with their legislation. WIPO will record the decisions of the IP Offices in the International Register and then notify you. If an IP Office refuses to protect your mark, either totally or partially, this decision will not affect the decisions of other IP Offices. You can contest a refusal decision directly before the IP Office concerned in accordance with its legislation. If an IP Office accepts to protect your mark, it will issue a statement of grant of protection. The international registration of your mark is valid for 10 years. You can renew the registration at the end of each 10-year period directly with WIPO with effect in the designated Contracting Parties concerned. Please contact Kaliko & Associates, LLC at 201-739-5555, Info@kalikolaw.com, or visit our website at https://kalikolaw.com if you wish to learn more or discuss how our firm can assist you in filing for an international trademark under the Madrid Protocol. Posted April 4th, 2017 by Scott & filed under Uncategorized. “The Department of Justice announced last week that two California men pled guilty in a mass-mailing scam that targeted owners of U.S. trademark applications. The men, Artashes Darbinyan and Orbel Hakobyan, admitted to stealing approximately $1.66 million from registrants and applicants of U.S. trademarks through companies called Trademark Compliance Center (TCC) and Trademark Compliance Office (TCO). The USPTO is proud to have cooperated with law enforcement agencies in the California case. Posted March 3rd, 2017 by Scott & filed under Uncategorized. Trademarks are highly valuable assets. According to one recent estimate, trademarks account for, on average, one-third of corporate value. The world’s most valuable brand was recently estimated to be worth more than $180 billion. Developing and protecting trademarks is not a mere “cost of doing business,” but rather an investment in customer goodwill, leading to greater customer satisfaction and higher sales. A trademark can be almost anything namely a word, a logo, a sound, shape, a color, a scent, taste or any combination of these-that distinguishes the goods or services of one party from those of another. Trademarks also assure consumers of consistent quality and thus help promote efficient competition. 10) Allows US Customs and Border Protection to prevent imports that infringe the trademark or are counterfeits once the registration is separately “registered” with Customs. Please contact Kaliko & Associates, LLC at 201-739-5555, info@kalikolaw.com, or visit our website at https://kalikolaw.com if you wish to learn more or discuss how our firm can assist you to register your trademark. Posted September 30th, 2016 by Scott & filed under Uncategorized. Whether you’re trying to raise money or secure a licensing deal, taking away perceived risk is essential to bringing a concept for a new product to market. You’re always going to have to convince someone of something — namely that your idea and by extension you, are worth investing in. Ultimately, if you want to get paid for your ingenuity, you need to get figure out how to get people behind you. Do you know what your story is? Your story is your reason for being, your purpose. And when it comes to pitching, when you need to really connect with your audience — Appeal directly to your audience. Remember, we’re all consumers. We share the same experiences, the same pain points and frustrations. We relate to stories best. Not facts. Not figures. So focus in on your story and practice your delivery. Of course, every audience is different — the best approaches are tailored, not rote. Know how to protect your intellectual property. We all want to keep others out of our business. One sure way of mitigating risk is by familiarizing yourself with the intellectual property related to your innovation and your industry. What have others done? How have similar products evolved? What does the market look like today in comparison? What can you deduce about what’s worked and what hasn’t? Understanding Intellectual Property will become less and less indecipherable. In time, they’ll actually paint a picture. Studying the prior art is so valuable because doing so will help you hone in on the uniqueness of your idea and will help you map out your own way forward. Posted June 16th, 2016 by Scott & filed under News, Presentation. Posted June 1st, 2016 by Scott & filed under News. When the damages are not found by a jury, the court shall assess them. In either event the court may increase the damages up to three times the amount found or assessed. First, “a patentee must show by clear and convincing evidence that the infringer acted despite an objectively high likelihood that its actions constituted infringement of a valid patent,” without regard to “[t]he state of mind of the accused infringer.” …. This objectively defined risk is to be “determined by the record developed in the infringement proceedings.” …. “Objective recklessness will not be found” at this first step if the accused infringer, during the infringement proceedings, “raise[s] a ‘substantial question’ as to the validity or non-infringement of the patent.” …. That categorical bar applies even if the defendant was unaware of the arguable defense when he acted. …. Second, after establishing objective recklessness, a patentee must show—again by clear and convincing evidence—that the risk of infringement “was either known or so obvious that it should have been known to the accused infringer.”…. Only when both steps have been satisfied can the district court proceed to consider whether to exercise its discretion to award enhanced damages. Awards of enhanced damages under the Patent Act over the past 180 years establish that they are not to be meted out in a typical infringement case, but are instead designed as a “punitive” or “vindictive” sanction for egregious infringement behavior. The sort of conduct warranting enhanced damages has been variously described in our cases as willful, wanton, malicious, bad-faith, deliberate, consciously wrongful, flagrant, or—indeed—characteristic of a pirate. Under that standard, someone who plunders a patent—infringing it without any reason to suppose his conduct is arguably defensible—can nevertheless escape any comeuppance under §284 solely on the strength of his attorney’s ingenuity. The subjective willfulness of a patent infringer, intentional or knowing, may warrant enhanced damages, without regard to whether his infringement was objectively reckless. Section 284 allows district courts to punish the full range of culpable behavior. Yet none of this is to say that enhanced damages must follow a finding of egregious misconduct. As with any exercise of discretion, courts should continue to take into account the particular circumstances of each case in deciding whether to award damages, and in what amount. Section 284 permits district courts to exercise their discretion in a manner free from the inelastic constraints of the Seagate test. Consistent with nearly two centuries of enhanced damages under patent law, however, such punishment should generally be reserved for egregious cases typified by willful misconduct. Given the evolving nature, increasing frequency, and sophistication of cybersecurity attacks – as well as the potential for harm to investors, firms, and the markets – cybersecurity practices are a key focus for FINRA. FINRA reviews firms’ approaches to cybersecurity risk management, including: technology governance, system change management, risk assessments, technical controls, incident response, vendor management, data loss prevention, and staff training. FINRA has created a Cybersecurity Checklist (Excel 114 KB) to assist small firms in establishing a cybersecurity program to identity and assess cybersecurity threats, protect assets from cyber intrusions, detect when their systems and assets have been compromised, plan for the response when a compromise occurs and implement a plan to recover lost, stolen or unavailable assets. This checklist is primarily derived from the National Institute of Standards and Technology (NIST) Cybersecurity Framework and FINRA’s Report on Cybersecurity Practices. Use of this checklist does not create a “safe harbor” with respect to FINRA rules, federal or state securities laws, or other applicable federal or state regulatory requirements. FINRA’s Report on Cybersecurity Practices in the broker-dealer industry highlights effective practices that firms should consider to strengthen their cybersecurity programs. The observations and practices in the report are based on a variety of sources, including a sweep we conducted in 2014 of firms of varying sizes and business models, a 2011 survey of firms and interviews with other organizations involved in cybersecurity. As we note in the report, there is no one-size-fits-all approach to a cybersecurity infrastructure. Rather, the risk management-based approach that we discuss in the report enables firms to tailor their program to their particular circumstances. In addition, forty-seven states, the District of Columbia, Guam, Puerto Rico and the Virgin Islands have enacted legislation requiring private, governmental or educational entities to notify individuals of security breaches of information involving personally identifiable information. For a list of relevant legislation per state or territory, please consult the National Conference of State Legislatures website. Contact Kaliko & Associates, LLC at 201-739-5555 or info@kalikolaw.com for your questions related to cybersecurity practices or breaches of information from your systems. What is the the Defend Trade Secrets Act (DTSA)? What do employers need to do to take advantage of this new federal statute? The DTSA authorizes a civil action in federal court for the misappropriation of trade secrets that is related to a product or service used in, or intended for use in, interstate or foreign commerce. 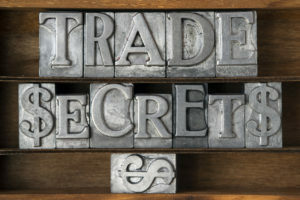 Previously, Trade secret claims were under state law, and 48 states adopted some version of the Uniform Trade Secrets Act (UTSA). New York and Massachusetts, the only two states that have yet to adopt a version of the UTSA, provide civil remedies under the common law for trade secret misappropriation. 3) harmonize the differences in trade secret law under the UTSA and provide uniform discovery. The DTSA provides for actual damages, restitution, injunctive relief, significant exemplary relief (up to two times the award of actual damages), and attorney’s fees. Ex parte property seizures are available to plaintiffs, but subject to limitations. As noted above, an ex parte seizure means that an aggrieved party can seek relief from the court against a party to seize misappropriated trade secrets without providing notice to the alleged wrongdoer beforehand. As a measure to curtail the potential abuse of such seizures, the DTSA prohibits copies to be made of seized property, and requires that ex parte orders provide specific instructions for law enforcement officers performing the seizure, such as when the seizure can take place and whether force may be used to access locked areas. Moreover, a party seeking an ex parte order must be able to establish that other equitable remedies, like a preliminary injunction, are inadequate. Injunctive relief for actual or threatened misappropriation of trade secrets is limited in that a court will NOT grant injunctive relief if it would prevent a person from entering into an employment relationship. A court could further place conditions on that employment relationship only upon a showing through evidence of “threatened misappropriation and not merely on the information the person knows.” This language was added to guard against plaintiffs pursuing “inevitable disclosure” claims. The statute of limitations is three years. A civil action may not be commenced later than 3 years after the date on which the misappropriation with respect to which the action would relate is discovered or by the exercise of reasonable diligence should have been discovered. An immunity provision exists to protect individuals from criminal or civil liability for disclosing a trade secret if it is made in confidence to a government official, directly or indirectly, or to an attorney, and it is made for the purpose of reporting a violation of law. This provision places an affirmative duty on employers to provide employees notice of the new immunity provision in “any contract or agreement with an employee that governs the use of a trade secret or other confidential information.” An employer will be in compliance with the notice requirement if the employer provides a “cross-reference” to a policy given to the relevant employees that lays out the reporting policy for suspected violations of law. Should an employer not comply with the above, the employer may not recover exemplary damages or attorney fees in an action brought under the DTSA against an employee to whom no notice was ever provided. Curiously, the definition of “employee” is drafted broadly to include contractor and consultant work done by an individual for an employer. The “Trade Secret Theft Enforcement” provision increases the penalties for a criminal violation of 18 U.S.C. § 1832 from $5,000,000 to the greater of $5,000,000 or three times the value of the stolen trade secrets to the organization, including the costs of reproducing the trade secrets. The DTSA also contains a provision that allows trade secret owners to be heard in criminal court concerning the need to protect their trade secrets. The DTSA further amends the RICO statute to add a violation of the Economic Espionage Act as a predicate act. In sum, the DTSA provides aggrieved parties with legal recourse in federal court via a federal trade secret cause of action (whereas previously, relief was only available under the state law UTSA or common law claims), as well as new remedies, including a seizure order. A party can now sue in federal court for trade secret misappropriation and seek actual damages, restitution, injunctive relief, ex parte seizure, exemplary damages, and attorney’s fees under the DTSA. Employers should have qualified counsel or other qualified individuals review policies and relevant agreements to ensure that they contain language required under the DTSA, such as proper notice of the immunity provision referenced above. Employers need to ensure that if they are using non-disclosure agreements with employees, that such agreements have clear definitions of trade secrets and confidential information and are not overly broad. Please contact Kaliko & Associates, LLC at 201-739-5555, info@kalikolaw.com, or visit our website at https://kalikolaw.com if you wish to learn more or discuss how our firm can assist you in taking advantage of The Defend Trade Secrets Act. This is an affirmative duty that is placed on employers if they want to take advantage of the DTSA provisions.